Quick Answer: Fantasy worlds are complex beasts. 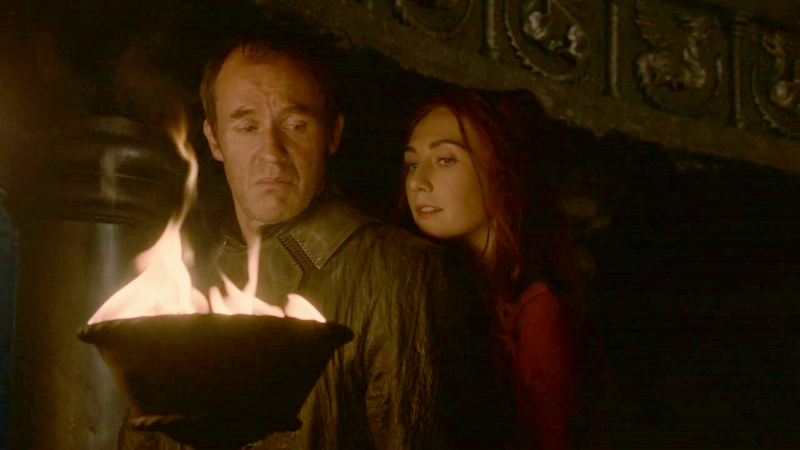 Many factors contribute to the lack of technological development in Game of Thrones; the existence of magic rendering technology somewhat obsolete; the lack of education among the majority of the populous; and the lack of chemical and combustible resources to stimulate development; and the conventions of the fantasy genre, to name a few. But the Maesters and their organizational monopoly over the world's history and education are perhaps the most inhibitive menace, stifling the growth of the citizenry. A Song of Ice and Fire is not the first epic fantasy series wherein human citizens appear prone to technological stagnation. Think of Lord of the Rings as another example, its humans living for centuries with little push in the way of progress. Such is equally true for George R. R. Martin’s fantasy series and its television counterpart, Game of Thrones (2010-). Despite thousands of years of history, people still exist in a mostly lawless, swords-and-shields driven culture. Why is this? Surely, some of it is by intent. Westeros and its surrounding continents are stagnant because Martin wants them to be. He designed the story around swordfights and castle sieges and magic and dragons. The ‘atmosphere’ of the series and the lack of technology are merely conventions of the fantasy genre. 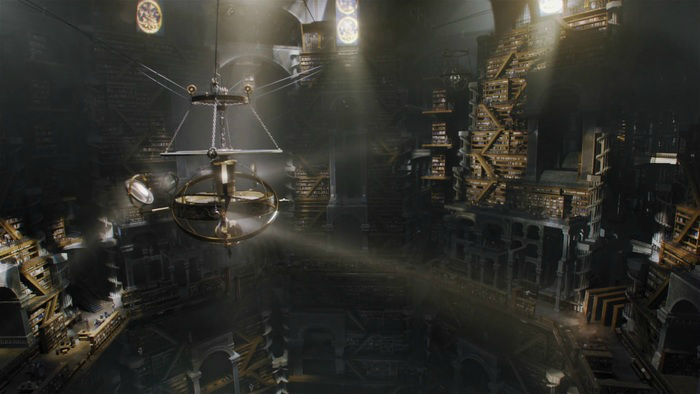 In Westeros, people live more according to the rhythms of mystic forces than the conception of technology. It just doesn’t seem to be in the forefront of their minds. Fantasy characters live in an alternate type of world than we do in reality, one in which human thought doesn’t follow the same path as real human history, where conceiving of technological advancement simply isn’t the direction of their evolution. Who cares about technology when magic exists? It’s the same reason Harry Potter’s pals still use quills and lamplight in the 1990s. Still, it’s possible to explore Game of Thrones’ lack of technological advancement as being more than just “because the genre says so.” There is more of an argument for the series’ eternal medieval-ness than “it’s fiction.” Instead, we can look at Westerosi technology as being stunted by the institutions, philosophies, and economies of Martin’s world. To that end, a big force is the existence of magic. Though it has been minimized in the era of time where the novels and television show are set, it is well-established in the stories that magic was a dominant force in history all the way through the Targaryen reign. With socerery a viable option, it’s reasonable to assume the invention of technologies would seem rudimentary, simplistic, an unnecessary by comparison. Perhaps even more potent is the lack of education available for most Westerosi citizens. Education is a commodity belonging to the maesters at the Citadel, and most people are educated only as far as their equally-uneducated parents are able to provide. And becoming a maester isn’t a simple path which anyone can take -- only prime candidates are accepted from the elite walks of life, those who can support their own existence while undergoing education. Further, those who accept education at the Citadel must renounce their lands and titles. It’s a lofty requirement in exchange for education, especially in a world where being strong and brutish or being highborn and having a revered title usually serves a person better than being intelligent. Maesters then grow to possess an academic monopoly over historical and scientific information, serving a lord with their decisions. They rarely evolve and are strongly trusted, but as an institution and a concept easily retard the intellectual growth of their entire citizenry. The world is also one of rudimentary weapons. We’re shown shields, swords, knives; nothing combustible. We see no guns. There are trebuchets instead of cannons. The only explosions are from magical wildfire, not from dynamite. Much of our real technology was developed as offshoots of weapons development, utilizing metals and compounds and methods first conceived for defense. It seems the Thrones world lacks the chemical and or ore resources to develop many technological materials as we know them. (Plus, if developments like cannons showed up in Game of Thrones, it would change everything for the stories -- just as it did in real life.) Going back to the genre conventions, people in Westeros become feared fighters because of their prowess with a sword. 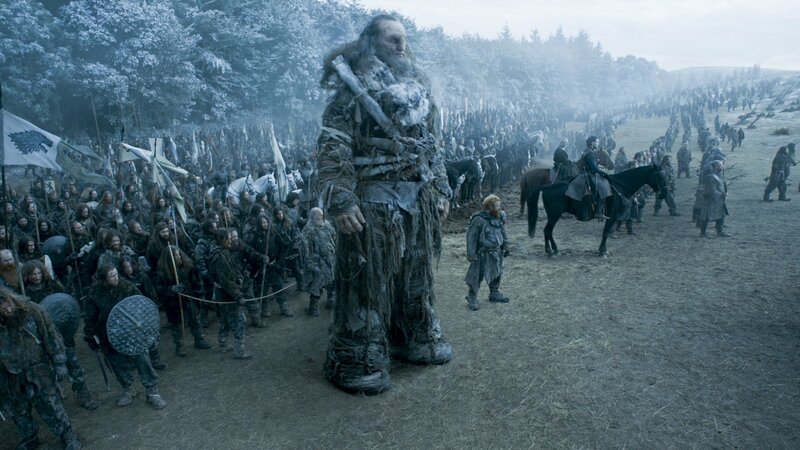 Would The Hound (Rory McCann) or The Mountain (Hafþór Júlíus Björnsson) or even Jaime Lannister (Nikolaj Coster-Waldeau) be so world-famous for their fighting skills if you could just shoot them with a rifle from 100 feet away? These characters and their abilities, as brutal and horrendous as they may be, as with the huge castles and awesome fortifications they sit behind, contribute to the romance of the genre and the atmosphere of the world as a whole. And why hasn't wildfire been harnessed as a means of technological development? Again -- a decision of the maesters. There’s an argument made in the YouTube series “The Nerdwriter” that Game of Thrones’ replacement for real-world cannons and their subsequent technological developments are dragons. Just as cannon fire and guns changed the way wars were fought and the way countries banned together, dragons changed the rules of combat within the fantasy world. Jump to 3:54 in the video to head directly to this point, if you choose. It's a well-constructed idea, but that theory doesn’t quite explain the lack of progress in the thousands of years leading up to Aegon and the dragons, but one could revert back to the prevalence of magic for that period. Ultimately, the lack of accessible education is arguably be the biggest threat to progress in this world. As long as the maesters control education and disallow regular people from opening up their minds, innovation will never happen. The highborn in this world are fine as they are, happy to keep on living as they do. The little people are the ones who need change and who would benefit from true innovation, but they lack the resources to ever make that happen. The maesters have stifled alchemists and taken a myopic approach to extinguishing the few resources (like wildfire) which exist in the world with the possibility to contribute to technological innovation. The maesters are destroying any chance of a renaissance ignited by people innovating for the betterment of everyday life -- the primary motivator of almost all real-world human development.